Category Shooting – category yet ever hot on the computer game market or is the phone nowadays. The titles that can be counted as the legendary Counter-Strike or PUBG are phenomenal in all countries today. 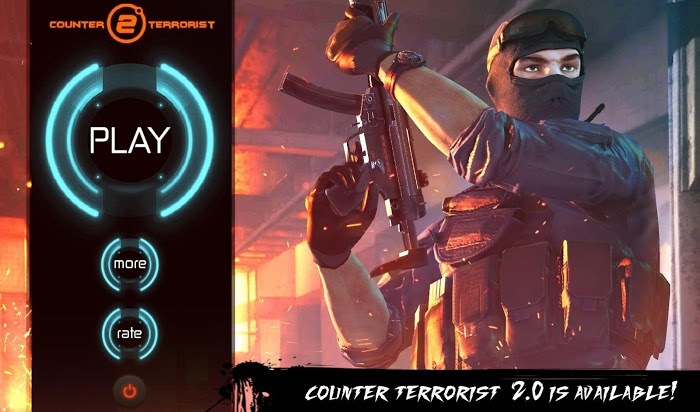 If you want to review the past with Counter-Strike but graphics are better then you can try “Counter Terrorist 2-Gun Strike“. The game will help you remember the suspense as well as the fun entertainment when you win the opponent in the past. Gameplay will surely make you happy after the time you die in PUBG too much. First, when you hear the name of this game, you can certainly imagine how to play than right. In this game, you will play as an anti-terrorist with special equipment. There will be a variety of guns that will remind you of a glorious time in Counter-Strike. Some of the guns that can be cited are yours at the same time as AK-47, MP5, M4,… And more, because these guns are quite close to each other so you are sure that each person will choose their own guns in accordance with some criteria such as damage, stability, … You can own a gun with a set amount of money in the game. In terms of the number of guns you can own up to 20 people in the shop and one of them is quite powerful. So let’s choose a true destructive monster. As for the ammunition, you have the right to buy ammunition before battle or in battle. Buying ammunition in combat will save you a lot of time and kill more enemies. 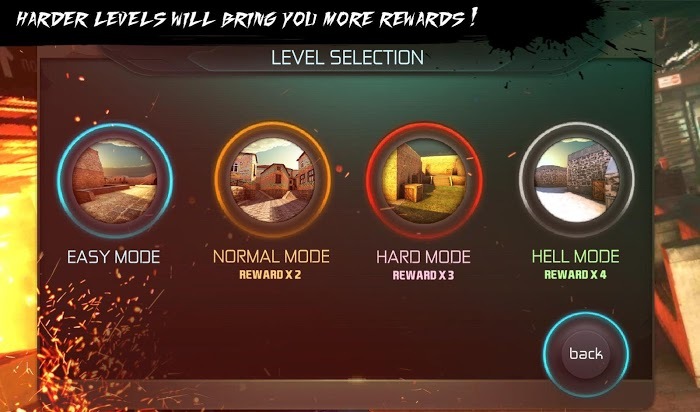 Second, the game mode, the game is divided into several levels from easy to hard, the higher the higher the reward the more diverse. 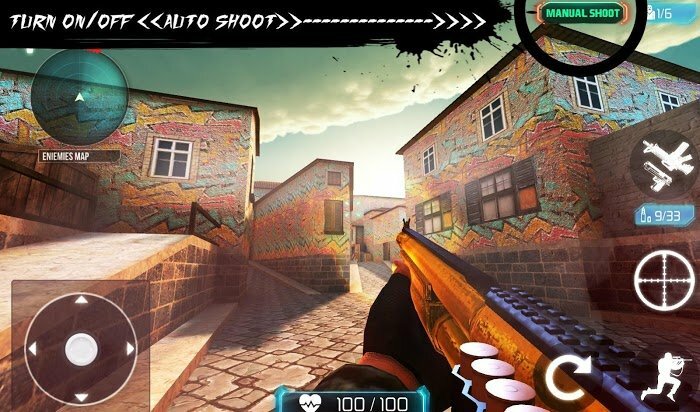 You can choose from any level to practice the game smoothly because most guns on the phone are more difficult on the computer. Producers have anticipated and made adjustments in the control will help you experience the best part of this shooter. You can adjust the fire automatically in the battle without having to go out and then adjust. You can also adjust the sensitivity of the viewfinder when shooting at distant targets. And after each release, the manufacturers are launching beautiful new terrain that allows you to try many places as well as experience new and not boring for you. But aside from that, you should be careful with your opponents at different levels because the higher the level, the more damage and the damage the terrorists will cause. And the terrorists (BOT) will be smarter so it should not be subjective when it is BOT. So be careful when facing those terrorists and get the highest results. Through this article, I am sure you have found a game that suits you. Do not hesitate to try it out and show your previous shooting skills. Have a nice time playing the game!